As it turns out, Kid Yamamoto won’t be fighting Matt Hobar when the UFC returns to Japan this weekend. Over the last few days, whispers began to surface that Hobar had sustained an injury in training, and that he would be replaced by UFC newcomer Alan Yamanahi. These whispers were in turn followed by scattered reports that Kid had also experienced an injury, and that the bout had been cancelled altogether. And as it turns out, these latter reports proved accurate. Kid Yamamoto will not be a part of the UFC’s looming return to Japan, marking the latest in the series of tragedies that has become life as one of his fans. The real tragedy of his removal from the card, however, is not so much that we won’t get to see him fight. Most of his fans have watched him fight plenty of times, and if they were lucky, they saw him do his thing when he was at his competitive peak. Instead, for Kid fans, the true heartbreaker is that in withdrawing from this fight, he misses another chance to score a UFC win; something that has eluded him since he joined the organization in early 2011, four sad fights ago. We all know that his prime is in the rear-view. We don’t expect him to go knocking on the door of UFC bantamweight champion TJ Dillashaw. We do, however, want to see him win in the UFC—at least once, against somebody. And now that he’s withdrawn from his scheduled bout, we lose another, increasingly rare chance to watch the 38-year-old achieve just that. Yet herein lays the consolation for Kid Yamamoto fans: though it would be nice to see him score a vintage knockout win with which to close the curtains on his career, the truth is that at this stage, such a thing wouldn’t actually matter all that much. He could have mauled Hobar. He could have punched Yamanahi’s head into orbit. He also could have been pummelled senseless by either man. Really, Kid could have been plunked onto the canvas with an unprepared security guard and win, lose, or draw; one fact would remain unchanged. He’d still be a true legend of MMA. Of course, anyone who has followed Kid’s career knows that his status as a bona fide MMA legend is fairly unknown. If, in the volumes of MMA history, the pages of fighters like Dan Henderson, Wanderlei Silva and Kazushi Sakuraba are dog-eared, highlighted, and wrinkled, then Kid’s page looks almost unread. Given his accolades, however, that’s a bit of a travesty. So, even though we won’t see him action this weekend, let’s flip the MMA history book open to his page, blow off the dust, and refresh our collective memory as to what makes him so special. According to an account by Enson Inoue, Kid’s first brushes with MMA followed a series of brushes with the Yakuza, during which he accidentally shot one member in the face with a BB gun and later jumped off a third-story balcony to escape them. From here, Inoue (who was married to Kid’s sister at the time) is said to have used his celebrity to diffuse the situation, before ushering Kid into the world of MMA to keep him busy over the course of a year-long ban from wrestling competition. The popular turn-of-phrase “the rest is history” is thrown around all too often, but in this case, it rings especially true. Kid swallowed the MMA hook whole, and embarked on a truly historic fighting career. 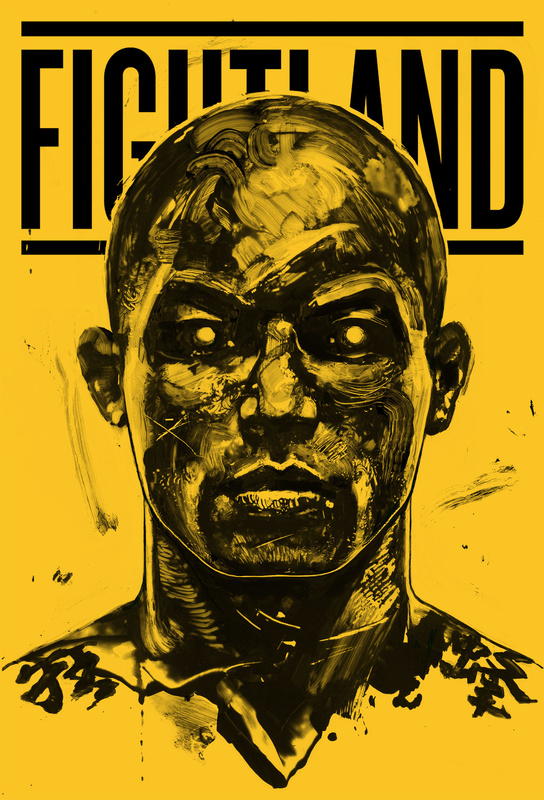 The first few years of his career saw him score wins over fighters like Jeff “Big Frog” Curran, who he outfought to a unanimous decision, and reigning ONE featherweight champion Narantungalag Jadambaa, who he shut off with a comet of a right hand. During this stretch he also hung in there in a kickboxing bout with the much larger, amply more experienced Masato, who he nearly snuffed out for good in round one. It was early performances like these, particularly the latter, that would shuttle him into Asian MMA superstardom. Despite his current bantamweight home, however, this is not the division in which Kid enjoyed his brilliant MMA heyday. Instead, he stole the limelight in the more popular (and more populated) featherweight and lightweight divisions, where he carved out his niche as one of MMA’s most renowned giant killers. Yes, just as Sakuraba, Fedor Emelianenko, and Dan Henderson have done so many times, Kid baffled the fight world with his fearlessness, repeatedly stepping through the ropes to fight bigger, stronger men—and winning emphatically. During his prime, the one-time Yakuza target removed the batteries from Royler Gracie. He tore into Caol Uno, forcing a doctor stoppage. He earned a controversial, though commendable win over Genki Sudo. He scored a record-breaking, 4-second, flying-knee knockout of Kazuyuki Miyata. He outgunned current ONE bantamweight champ Bibiano Fernandes. He thrashed Rani Yahya. When Kid was at the top of his game, he was the picture of ferocity, mauling almost every man who walked onto the canvas with him. Kid's legacy extends far beyond the edges of the canvas. Just as Urijah Faber—who once stood out as the Ronda Rousey to Kid’s “Cyborg”—will be remembered for his founding of Team Alpha Male, Kid should be remembered for his creation of Krazy Bee. The Tokyo-based fight camp is, after all, the home of some of Japan’s most talented fighters, from veterans like Kotetsu Boku and Issei Tamura to young guns like Kyoji Horiguchi, who fights on the main card this weekend, and despite a recent loss to Demetrious “Mighty Mouse” Johnson, may yet realize the mountainous success of his mentor. He was a multi-disciplinary defier-of-the-odds. He was a brick-fisted slayer of giants. He is a teacher, a mentor, and an inspiration for a whole generation of young Japanese fighters. And it is because of Kid’s multi-faceted, convention-shifting legacy that no outcome—be it a long-awaited UFC win, another heartbreaking loss, or this latest cancelled fight—will change his status as one of MMA’s ultimate, if unheralded legends.